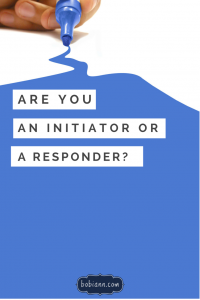 Are You An Initiator or A Responder? 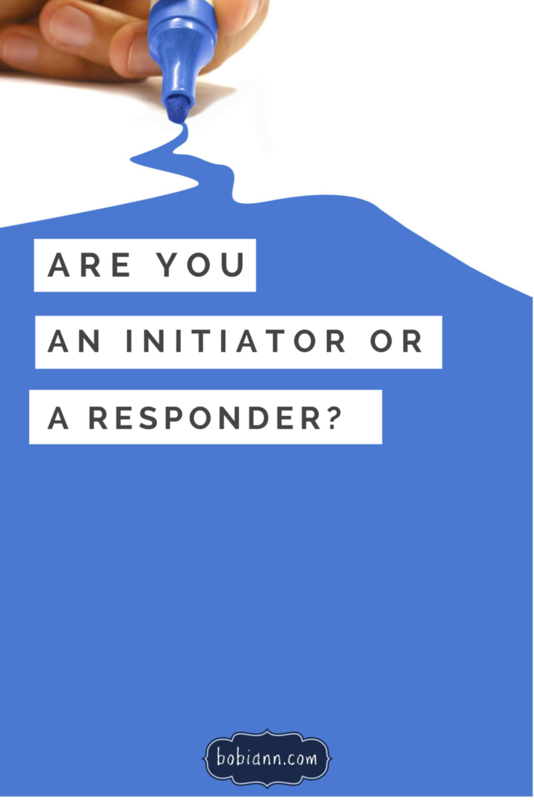 My husband, Jared often says there are 2 kinds of people in the world: initiators and responders. By that he means, if you walked into a room of people you didn’t know you would either, 1) walk up to someone and introduce yourself or 2) wait until someone walked up to you and began to make conversation. Think about it. You probably, most certainly, fall into one of these two categories. I don’t have the statistics but based on my experience, I’ve concluded that most people are responders. They don’t initiate relationship or conversation. They wait for other people to initiate and then they respond. When Jared pointed this out to me, I discovered how true it was. I also realized that I am naturally a responder. That doesn’t mean I don’t initiate because I do–now. But it takes a lot of being intentional and walking across the room. Over time, I’ve gotten more skilled at initiating relationship. However, when we first moved to Huntsville seven years ago, I had just had a baby. Though, I was on staff at Willowbrook and surrounded by lots of kind people, I was very lonely. I had left my family, I had a new baby and I didn’t have young mommy friends. I worked with the 5th & 6th graders and most of my social interaction was with 10-12 year olds. As a young mom, I didn’t know what I was doing and I thought I was alone in that. I thought every other mother knew what to do with this little human they were handed in the hospital. 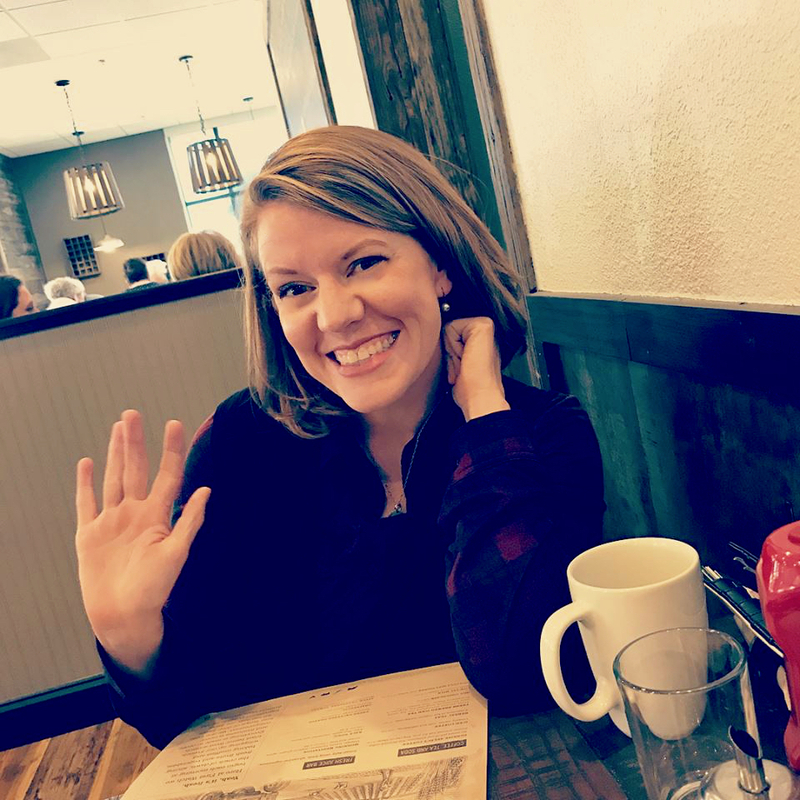 I was a new mommy in a new town, at a new church and so far from my friends and my family. Lots of mornings, I would put Kati Ann in her stroller and walk around my neighborhood alone. It was good exercise and she seemed happier outside. One morning, I was walking around my block, almost back to my house when I saw a woman who appeared close to my age with a young child outside her house. I may be a responder but I’m from the south, so I waved and smiled. She could have easily waved back and gone about her business. But, when she spotted me, she began to walk up her driveway to speak to me. She said, “Hi, I’m Kim. I just moved here.” We made conversation and she told me she, too, enjoyed walking and asked if she could join me sometime. Hesitantly, I agreed. For the next 2 years, Kim and I regularly walked around our little block, sharing our lives, our mommy stories and our mutual love for God. We became close friends. I learned so much from Kim. But, I have often wondered what would have happened had she not walked up her driveway that day. What if she had only politely waved and let me pass by? Kim initiated a relationship with me that I look back on with a great tenderness. I was walking (quite literally) through a season of desperation and loneliness. Kim provided me with comfort and companionship. 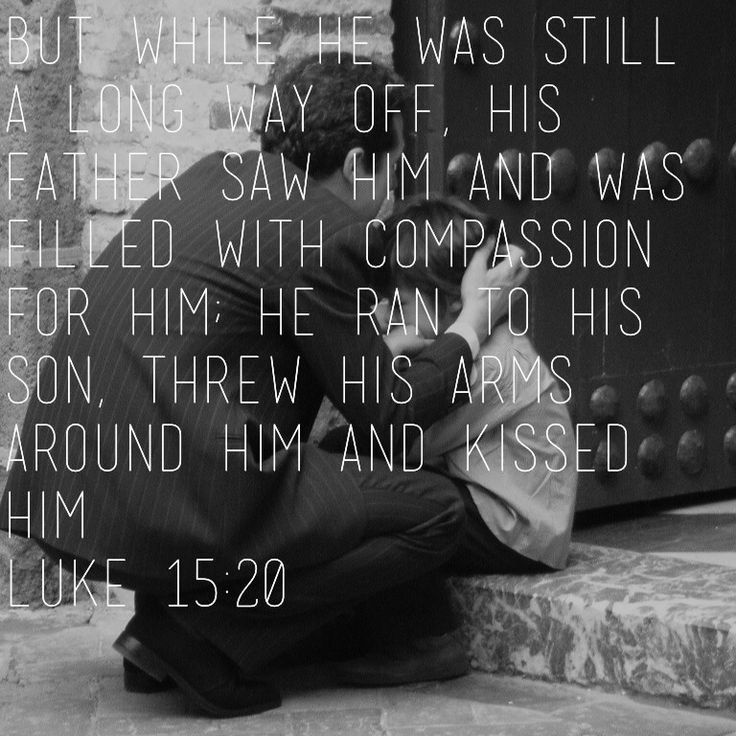 As I remembered that day when Kim initiated a relationship with me, I thought of the parable of the prodigal son found in Luke 15. When the son came home after rebellious living against his father. The father didn’t just wait for his son to come to him begging for mercy. When he saw his son a long ways off, he ran down the driveway to meet him. He initiated the offer of grace and love to his son. He knew that his son was rebellious, and had sinned against him, but he initiated restoration. The father came up that driveway, not as the responder (to his son’s repentance) but as the initiator of grace. That parable is a story that represents our relationship with God. 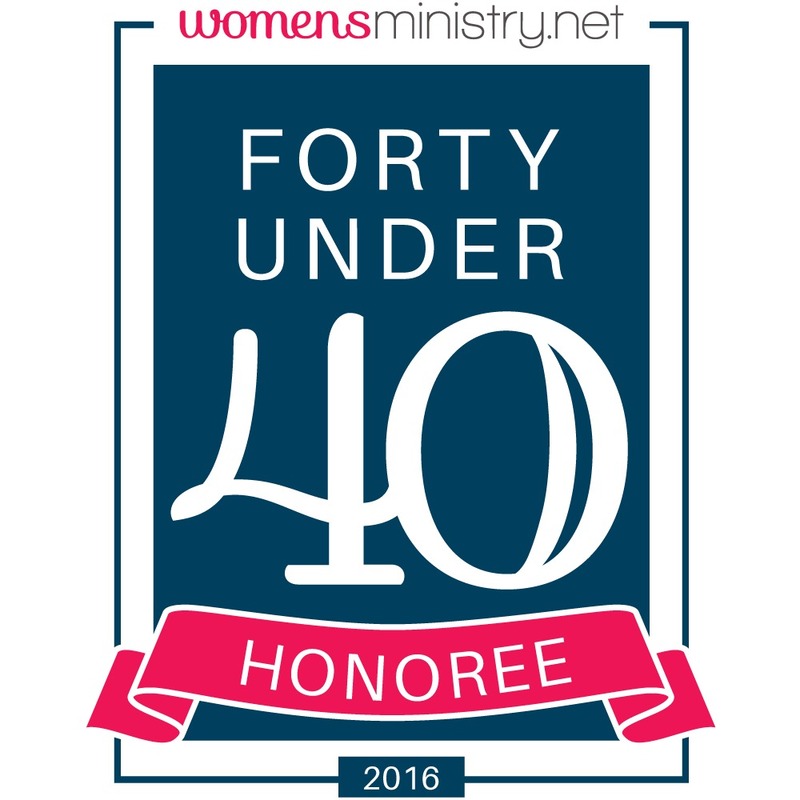 God is running up his proverbial driveway and saying, “Hi! My name is God. Could I walk with you? Could we be friends?” And just like the father in the parable, God is initiating a relationship knowing all your junk up front. Where Kim and I knew nothing about each other before that day we met in the street, God is intimately aware of your past, your mess. He is offering grace and extravagant love. Will you respond to God’s initiation? God is offering grace by His own initiative. He didn’t have to. He just really, really wants a relationship with you. Question: Have you had the experience of someone initiating a relationship with you? How did it affect you? How can you make a difference in another’s life by initiating relationship? What would that look like for you? Share your story in the comments below. I am becoming more of an initiator. Actually, being a receptionist at a church required that and selling candy for our Christian school helped, too. It’s a lot more fun. I’ve found myself praying with people in the line at Wal-Mart who were facing surgery and scared. When they start crying right after you introduce yourself you know God had an appointment waiting for you that day. Leaves you in awe and blessed to be used by our Creator.